We speak to esteemed Burmese cookbook author and food writer MiMi Aye to find out about Myanmar's best bites. "The food in Myanmar shares some flavors with Thailand, India and China, since those are our neighboring countries. 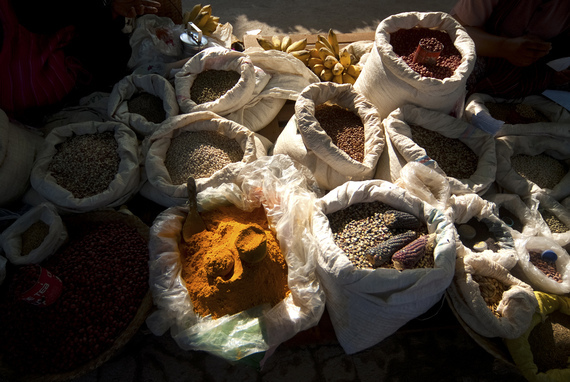 Burmese food takes these influences and combines them with techniques, ingredients and flavors of its own to make something subtle, delicious and unique. Subtlety is the key - no crude hit of chilli or one-dimensional note of sweetness - every dish has at least three of the five tastes of salty, sweet, sour, bitter and umami, and every meal has a host of accompaniments. Texture is just as important - a noodle dish might have soft but toothsome noodles, crunchy sour pickles, bean sprouts that snap to the bite, and rich, tender chunks of chicken. Variety really is the spice of life for the Burmese palate." "Mohinga; a breakfast of fish broth and rice vermicelli. It's heaped with crispy split-pea fritters and slices of soft duck egg and bouncy fishcake, and scattered with roasted chilli flakes and shredded coriander leaves. Served with lime or lemon wedges to squeeze on top, it's a perfect, balanced start to the day. Few people make it at home as there are countless street vendors and cafes vying for business, and everyone has their favorite." Photo of MiMi Aye taken by Paul Winch-Furness. "Try Mandalay Mohntee from a street vendor or cafe. This is a delectable salad of fat rice noodles, chicken or beef curry, chilli oil, roasted chickpea powder, coriander and sliced shallots. It's more or less the same dish as Nan-gyi Thohk [literally 'big wire salad'], the only difference being that Mandalay Mohntee uses thick, round rice noodles and Nan-gyi Thohk uses flat, wide wheat noodles similar to tagliatelle." "Lahpet thohk is pickled tea leaves mixed with crunchy garnishes, sliced tomato and shredded white cabbage to create a piquant and savoury salad, bursting with flavour and textures. This is served at the end of most meals, but is also eaten as a snack or dished out when visitors come round." "Shan tofu is made from chickpeas rather than soya beans. You can have it in the form of fritters called tohu gyaw, which are crisp outside and fluffy inside, served with a tangy tamarind dip, or sliced up in a salad called tohu thohk, with a sharp and salty dressing, and even warm and melted - tohu nway - over a bowl of spicy noodles." "The great Irrawaddy river flows through the country, which means freshwater fish is a mainstay everywhere, and the pounded, fermented version ngapi [literally 'pressed fish'] is so prevalent both as a condiment and as an ingredient that it's said you can never be Burmese if you don't love ngapi." 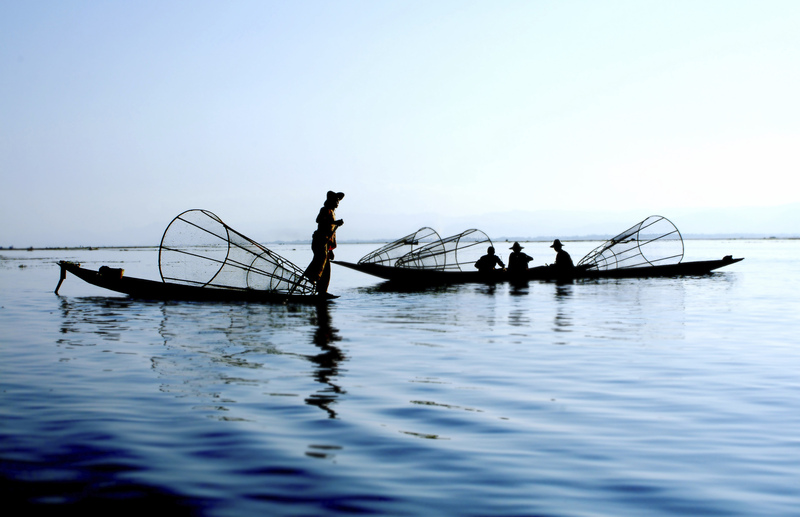 "Myanmar is made up of 138 ethnicities, from the tall and fair-skinned Shan in the mountains, to the giraffe-necked Padaung women and the fearsome head-hunting Naga, and they all have their own regional cuisines. The Kachin are fond of beef, bamboo shoots, and chillies, the Shan are famous for their chickpea tofu, those in Mandalay are fond of noodles, especially dishes called mohntee and meeshay, and in Mogok they're obsessed with pork such as deep-fried pig intestines. Bagan, the land of temples, is renowned for an intense fermented bean paste called pone yay gyi which is served in an onion salad or meat curry." "Travel connections around Burma have historically been poor, so even where there are common dishes ingredients vary, such as with pig head salad [wet-gaung thohk], which is made with an onion base in Mandalay and cucumbers in Yangon." "Jun-yay is freshly-pressed sugar cane juice. There's nothing like it to quench your thirst." "Go to Chinatown in Yangon; it's lively and fun, and the bounty of street vendors means you're absolutely spoilt for choice." "It has to be sitting in any open-air tea shop, listening to Burmese cover versions on the radio, drinking green tea and eating lahpet thohk and fritters." 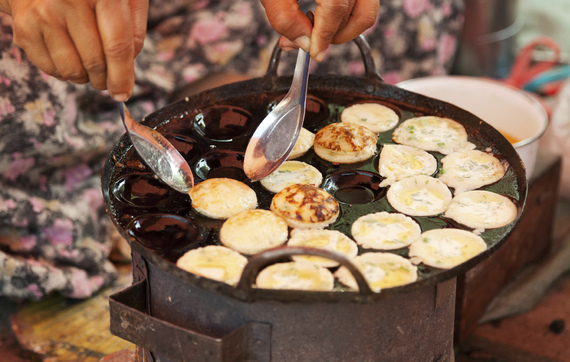 "Our street vendors are experts at producing a kyaw [fried snacks], which are light, crunchy and grease-free - gourd fritters, urad dal fritters, prawn fritters, onion fritters, whitebait fritters and of course the Shan tofu fritters I mentioned earlier." "I'm a big fan of wet-thar doke-hto [pork skewers]. A vendor sits with a cauldron of bubbling, spiced stock in front of him, which is braising every single part of a pig from snout to tail. He fishes the parts out and chops them into bite-size pieces. He then spikes each piece with a wooden stick and you swoop in and eat. When you're satisfied, the vendor counts your number of sticks and charges you accordingly. There are jars of chilli sauce hung on the sides of the cauldron - no double-dipping though." "Due to the recent influx of foreign investment and tourism, lots of new restaurants and cafes have opened up to provide greater choice. Vietnamese is one to watch - I can't wait to see how Burma adapts their dishes. One fusion dish which we famously created was the samosa salad, taking the Indian samosa, chopping it up and serving it Burmese salad style. 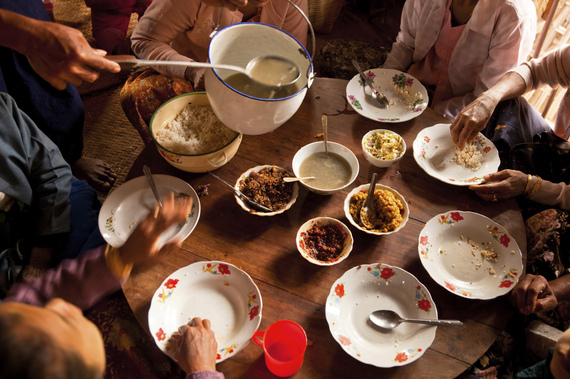 The great Madhur Jaffrey speaks of being pleasantly surprised by this particular dish on a visit to Burma." 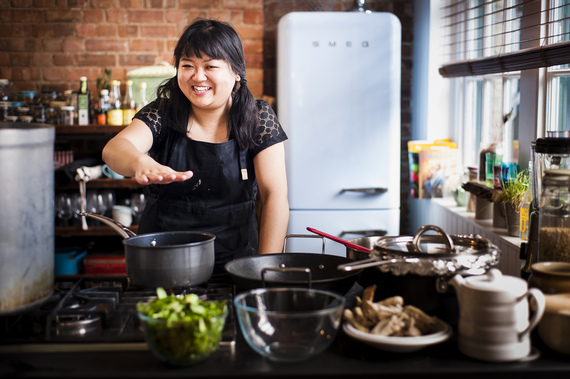 MiMi Aye is the author of the Absolute Press cookbook Noodle! 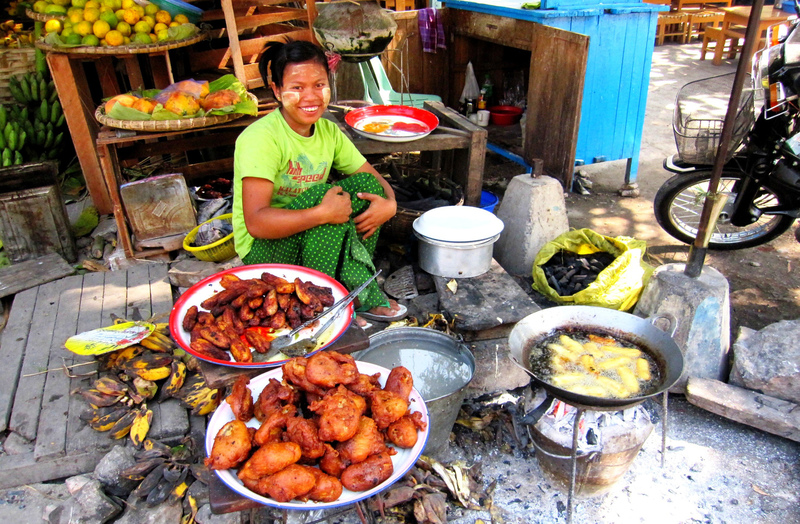 100 Great Recipes and food writer of the Burmese food blog Meemalee. "My cookbook is a tour through 100 noodle recipes," she says, "covering all the great and popular dishes, as well as my own favorites and other dishes which ought to be well-known but aren't. Burmese dishes include mohinga, ohn-no khao swe [coconut chicken noodles], mohntee [chicken noodle salad], and meeshay [pork and rice noodles]." "MiMi has been recommended by Lonely Planet and Time Out, and has appeared in BBC Radio 4's Food Programme, as well as in the Guardian and Telegraph, among other publications. Her recipes have been featured on Channel 4, to accompany chef Gordon Ramsay's TV show Gordon's Great Escape." MiMi is currently working on a Burmese cookbook, as well as planning Burmese pop-ups and ingredients tours of London's Chinatown.